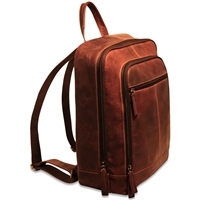 Jack Georges offers full sized backpacks as well as small backpacks for travel and every day use. 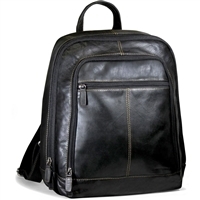 Styles are available in full leather or fabric with leather trim. 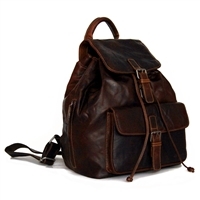 Made for any lifestyle our leather backpacks range from traditional, professional to casual. By undoing the center zipper, the bag transforms from a cross body that you need every day into a 20 inch duffle bag. A streamlined shape and a contemporary design make this laptop crossbody backpack perfect for the professional on the go. Keep your everyday essentials stylishly stowed in the Voyager Travel Drawstring Backpack. 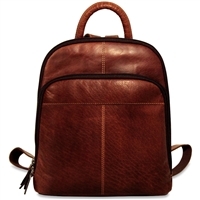 Looking for a special Jack Georges Leather Backpack? Please don't hesitate to contact us with any questions.